Most SF residents realize that living in such a beautiful area comes at a price, especially getting around. When it comes to driving, SF faces killer traffic and high gas prices that seem to increase relentlessly . Feeling the pain at the pump? As KRON4 reports (they even have a handy chart), San Francisco’s gas prices went up a whopping 52 cents in February, which means your 10-gallon tank costs $5.20 or so more to fill. Yikes. As the San Francisco Business Times reports, gas prices in the Bay Area hit an average of $4.41 a gallon, according to AAA. The region’s average gas price is slightly higher than the state’s, which is $4.36 per gallon. Bay Area gas prices are also horrifyingly more expensive than they were last year and the second most expensive in the nation, just behind Hawaii. Our average is 60 cents higher than the US average price of $3.81; a number that looks like a distant memory to most local drivers. 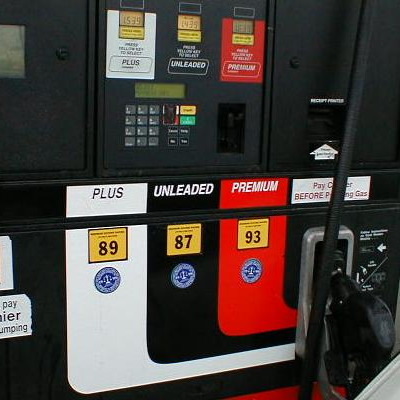 AAA officials said that across the country, gas prices rose by 30 cents, to $3.81 per gallon, from February to March. AAA, which monitors the prices as a service to consumers, says that increased buying activity by investors in oil and gas futures and political tensions with Iran have pushed prices upward. As the Ex reports, there is a light at the end of the tunnel. AAA Insurance spokesperson Matt Skryja told the Ex that concerns over a slowing economy in China and easing tensions with Iran have recently helped pull down the price of oil.